ROJO – Studio was recently commissioned to design an extension to the side of Menapia building & The House of Waterford Crystal Visitor Center. 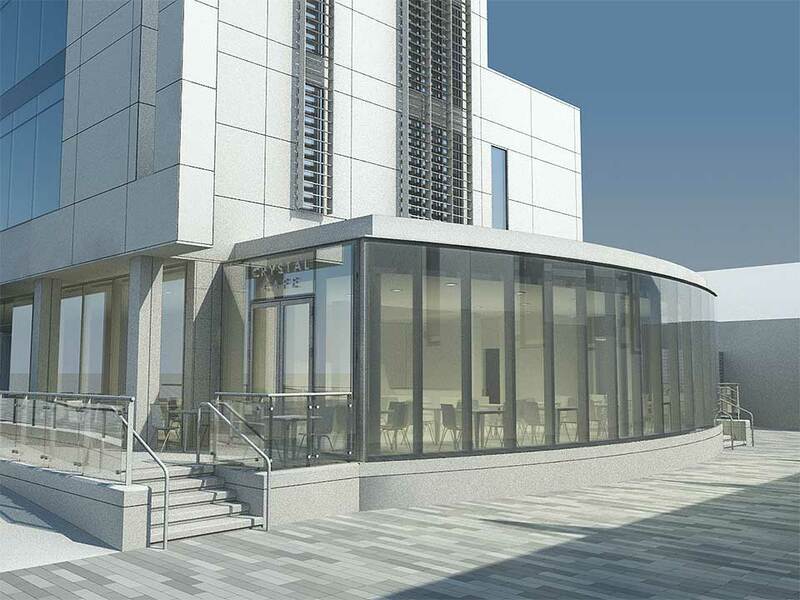 The extension was to accommodate a new kitchen and a Cafe at the ground floor of the visitor center. Having previously worked on the above project as part of the Executive Architects Team with Waterford City & County Council in 2009/2010, we were already very familiar with this building. Back in 2009, a strategic decision was made to move The House of Waterford Crystal Visitor Center, from the city outskirts to the City Center. 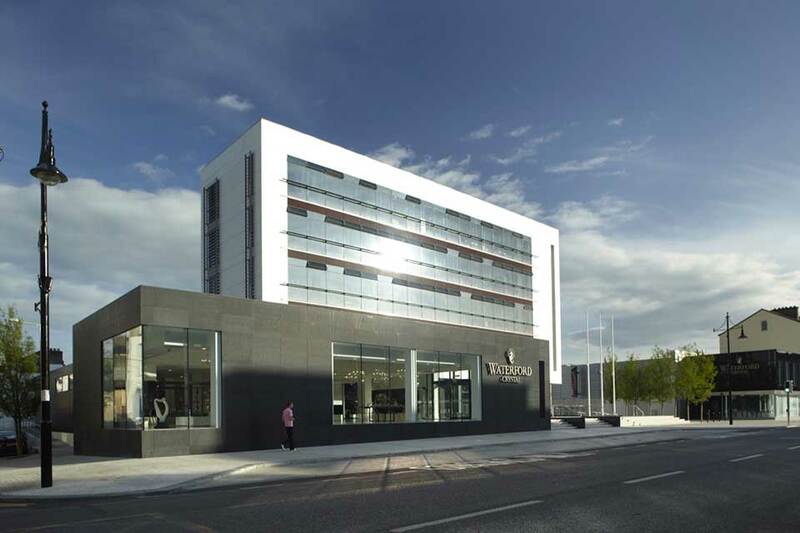 The design consisted of a full refurbishment and redesign of the former ESB headquarters on The Mall, to accommodate Waterford Crystal Visitor Center, showrooms, factory and City Council offices. By using contemporary materials and finishes like glass, metal and stone, all buildings have a new, modern look. The main entrance is accessible from the plaza located in the centre of the complex.